The medical technology industry in the last few years has seen a drastic increase in the number of mergers and acquisitions. This trend in consolidation for medical device and diagnostics companies looks to continue through 2016 and beyond. Owners of smaller medical device and diagnostics companies are well-positioned to sell their companies to larger corporations looking to expand product portfolios and applications. For established companies not looking to sell, this poses a unique challenge to stay competitive. This sector has demonstrated an extended period of steady growth: the industry has grown by an average of 2.3 per cent over the last five years and accounts for a total $179bn share of the US economy. While merger and acquisition strategies are not new to the industry, they are becoming more commonplace in the med-tech industry. Acquisitions are one of the fastest ways to broaden product portfolios and diversify medical device and diagnostics offerings within an already saturated market place. To stay competitive, companies actively acquiring will require smarter investment into technology platforms that support centralization of distribution networks, the supply chain and sales demand forecasting analysis. In the US, along with other countries, medical equipment differs from medication in the way it is taxed. Unlike drugs, medical equipment is heavily taxed, and this can limit sales opportunities as medical technology providers work to sell new equipment to clinics and hospitals looking to balance the need for equipment against available budgets. Furthermore, the sale of medical technology and equipment is becoming more tightly regulated, and the need for compliance increases manufacturing costs. This increases the purchase costs for distributors, narrowing profit margins. Increasing taxes and regulation could potentially halt growth in the sector. Distributors can overcome these challenges through strategically partnering with other companies to offset the burden and costs of taxation and regulation. Medical technology companies are increasingly merging together, with smaller distributors becoming part of larger corporations. While this is an understandable method of cost containment which enables equipment to be pooled, it is also reducing sales opportunities for small- to mid-sized suppliers. The trend continues to grow as a viable strategy for diversification of product and service offerings in the industry. Click here to see an overview of the 10 biggest mergers from 2015. The trend towards globalized markets has meant that there are many new distributors from emerging markets entering the industry that can manufacture, distribute and sell products for less. This trend will further tighten profit margins for the competition. This has meant that existing suppliers are having to reduce prices to remain competitive which is threatening growth. 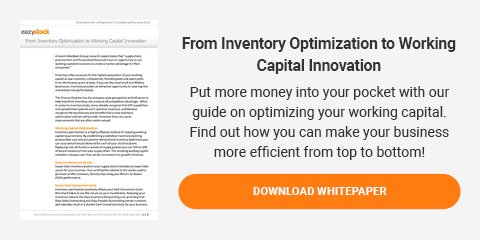 Distributors that can shave unnecessary costs in their inventory management model have the ability to maintain higher profit margins than their counterparts. If you’re a small- to mid-sized business, it can be difficult to remain competitive in today’s medical technology industry. The path to success is loaded with pitfalls such as increased regulation, companies seeking mergers and acquisitions, and rising globalization. In order to remain competitive in this changing market, businesses of any size need to carefully manage and maintain their inventory control.